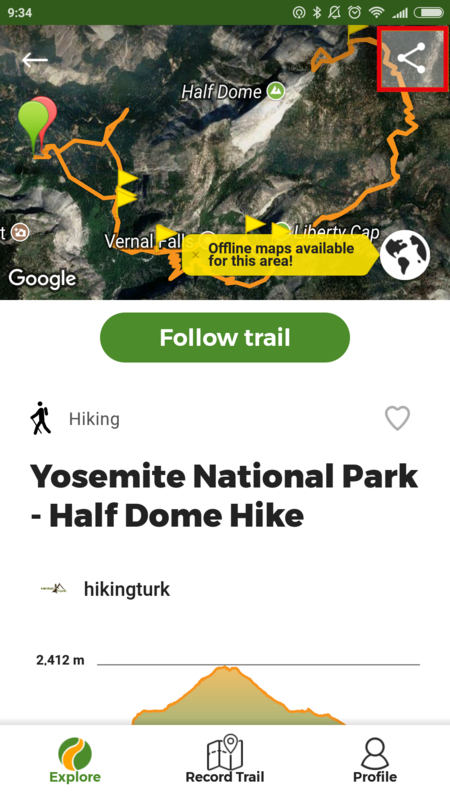 How to share and export trails from the App? Do you want to know how to share or export your favorite trails from the App? Click on the "share" button at the top right of the screen. Export File (available only with "Saved Trails", with Wikiloc Premium): A window will pop up and allow you to send the file in a GPX format to other messaging applications (WhatsApp, Email, Facebook messenger). Others: where you will find other options such as Email, Instagram direct message, Facebook Messenger, SMS, Bluetooth, etc. *New! Open the QR code for your friends to scan it with the new in-app QR code reader. It is the easiest way to share a trail while you're all together deciding your next adventure! 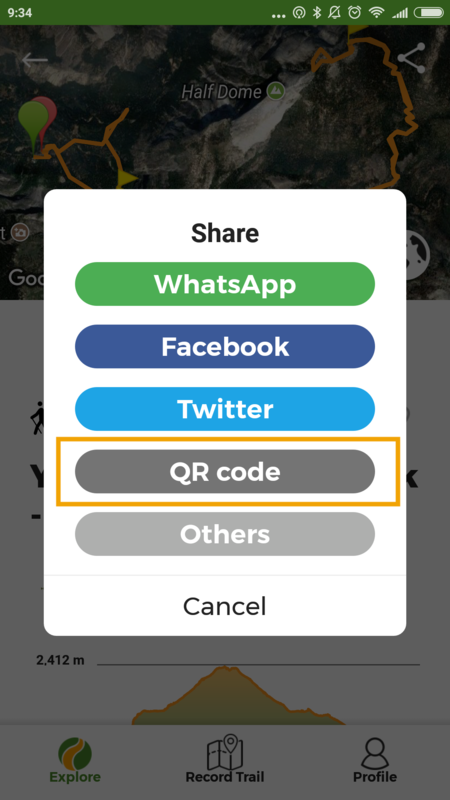 How to read QR codes with the Wikiloc App?